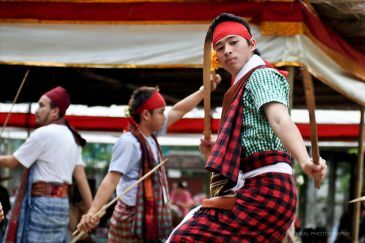 “Spirit” is an important part of Lanna, people in the north of Thailand, culture. People believe that spirit can brings fertility and peace to everyday life. Living people usually request spirit’s power, especially from their own ancestors’ spirit – called “Pee Mod Pee Meng”, to help protect their family. Sometimes they also believe that spirit can even cure illness or make weak patient gets better. 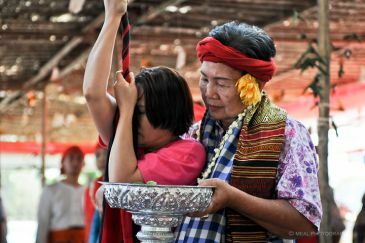 And once they receive help from spirit, Lanna people will held a ceremony to return the favors called “Fon Pee” (Spirit Dance). 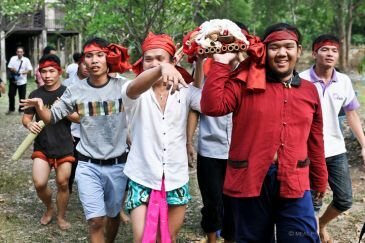 After the harvest period during March and April when people is free from farming, they will gather to hold a big ceremony, the Fon Pee. These events will be held for two days. 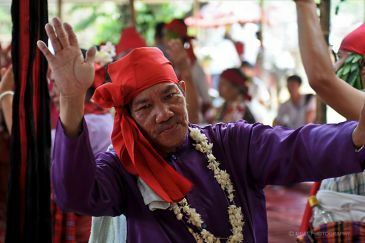 The first day is called “Wan Kaw” (Announce day) which is the day that news will be spread among relatives in order to have them gather at one house to prepare for the ceremony, while the second day will be the real ceremony when there will be sacrifice dance and communication with spirits. On the preparation day, relatives and neighbors will construct small pavilion, called “Pham”, made from dry coconut leaves, dry grass or banana leaves. 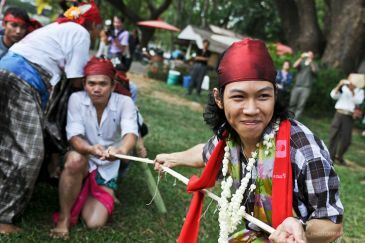 Pham will be well decorated and many foods will be offered to spirits. 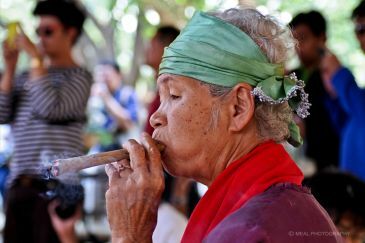 On that day the oldest woman in the family, called “Kao Pee”, will worship ancestor spirits and invite them to Pham. After that spirit will synchronize with living and the ceremony will begin. People who synchronize with spirit usually will not know what they did during that day, for older people the length of synchronization will be much longer than younger one. 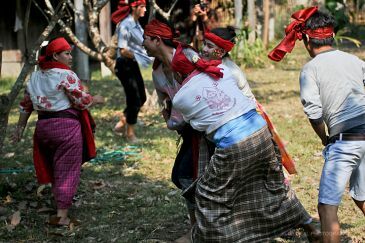 They will continue dancing all day until the ceremony end. Finally, all relatives will pull down Pham, clean the area and later have dinner together. 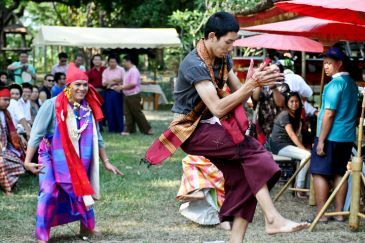 “Fon Pee” or spirit dance is one of the very old traditions of Thai northern people, one of the most cherishes culture that Lanna people try to conserve and treasure it forever.